PHONOTHERM 200 is a formaldehyde free 100% up-cycled polyurethane thermal insulation whose raw material is sourced as a by-product from white goods, and from the motor and thermal insulation industries. From an ecological perspective, PHONOTHERM 200 utilises raw materials which would otherwise end up in a landfill, and the manufacturing process is carried out in accordance with the environmental standard ISO 14001. 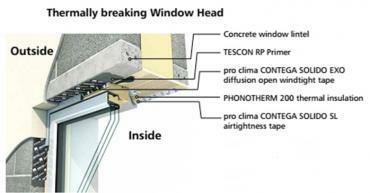 With increased requirements to address thermal bridging at critical junctions such as window, doors & foundation junctions, PHONOTHERM 200 offers homeowners, builders and specifiers a robust, practical and effective thermal solution. • Easy to machine with conventional carbide tools: drilling, sawing, milling, grooving, grinding, screws, etc. 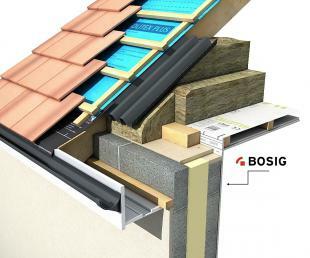 PHONOTHERM 200 is primarily utilised for applications where structural support and the possibility of obtaining secure fixings into the material are required. 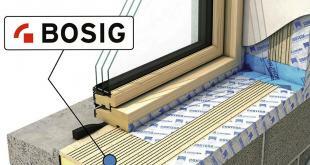 It is ideally suited as a support for door thresholds and window installations, where it is important to minimise thermal bridging. 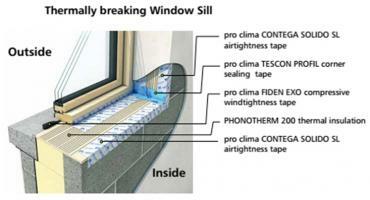 PHONTOTHERM 200 can also be plastered directly. 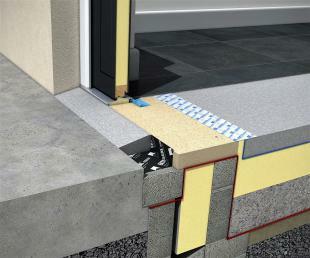 PHONOTHERM 200 is available off the shelf in handy 1.35m x 250mm x 25mm lengths. Custom sizes and profiles are also available on request.